Water from the Pembrokle RO plant will be blended with groundwater at the Ta'Qali reservoirs. 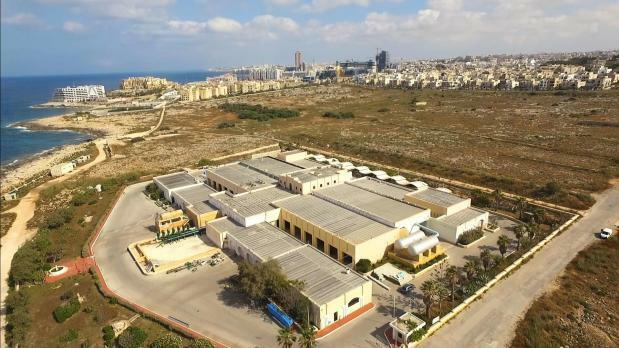 A 9.5 kilometre, three-metre wide tunnel to carry water from the Pembroke reverse osmosis plant to the Ta’ Qali reservoirs will take 30 months to complete. The tunnel will ensure that the blending potential of the water is exploited and pumping energy is reduced to the bare minimum, Water Services Corporation chief executive Richard Bilocca said. 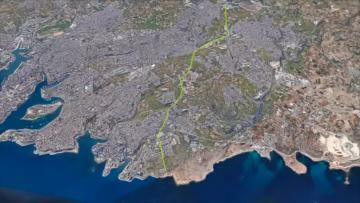 The €27.5 million project will be carried out by the Water Services Corporation in collaboration with Bonnici Bros. Services and Turkish company Superlit Boru Sanayi A.S.
Bonnici Bros. Services will be responsible for tunnel boring for a cost of €19.3 million. For a cost of €8.2 million, Superlit Boru Sanayi A.S will provide glass fibre reinforced plastic pipes to be laid inside the tunnel. One of these mains would be used to supply blended water to the central part of the island through a centralised hub feeding, mainly via gravity, Mr Bilocca added. The water transferred from the Pembroke reverse osmosis will be mixed with groundwater at the Ta’ Qali group of reservoirs, sampled and then treated to ensure the best quality blend, Mr Bilocca said. The tunnel will be five to 70 metres below the surface. Works are set to start in early October, Mr Bilocca said, adding that “the sooner the project is completed the better, since the quality of tap water will improve immediately”.